Lime sludge, an inert material mostly composed of calcium carbonate, is the result of softening hard water for distribution as drinking water. A large city such as Des Moines, Iowa, produces about 30,700 tons of lime sludge (dry weight basis) annually (Jones et al., 2005). Eight Iowa cities representing, according to the U.S. Census Bureau, 23% of the state?s population of 3 million, were surveyed. They estimated that they collectively produce 64,470 tons of lime sludge (dry weight basis) per year, and they currently have 371,800 tons (dry weight basis) stockpiled. 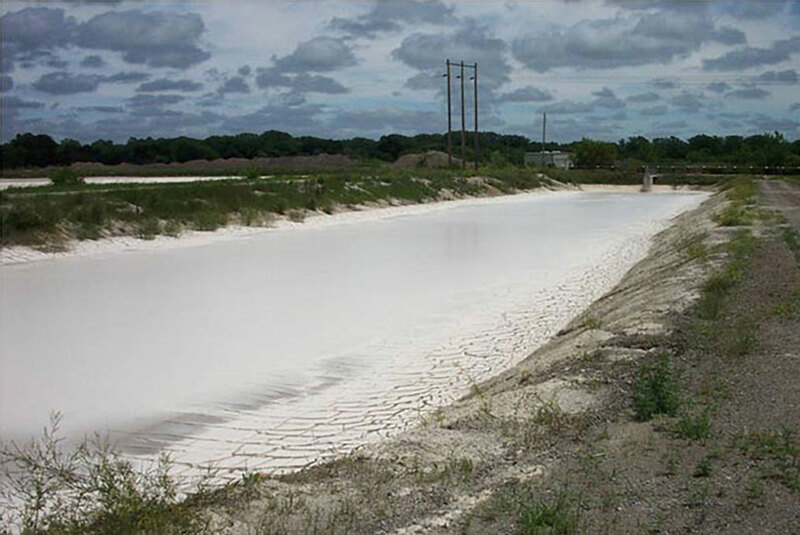 Recently, the Iowa Department of Natural Resources directed those cities using lime softening in drinking water treatment to stop digging new lagoons to dispose of lime sludge. Five Iowa cities with stockpiles of lime sludge funded this research. The research goal was to find useful and economical alternatives for the use of lime sludge. Feasibility studies tested the efficacy of using lime sludge in cement production, power plant SOx treatment, dust control on gravel roads, wastewater neutralization, and in-fill materials for road construction. Applications using lime sludge in cement production, power plant Sox treatment, and wastewater neutralization, and as a fill material for road construction showed positive results, but the dust control application did not. Since the fill material application showed the most promise in accomplishing the project?s goal within the time limits of this research project, it was chosen for further investigation. Lime sludge is classified as inorganic silt with low plasticity. Since it only has an unconfined compressive strength of approximately 110 kPa, mixtures with fly ash and cement were developed to obtain higher strengths. When fly ash was added at a rate of 50% of the dry weight of the lime sludge, the unconfined strength increased to 1600 kPa. Further, friction angles and California Bearing Ratios were higher than those published for soils of the same classification. However, the mixtures do not perform well in durability tests. The mixtures tested did not survive 12 cycles of freezing and thawing and wetting and drying without excessive mass and volume loss. Thus, these mixtures must be placed at depths below the freezing line in the soil profile. The results demonstrated that chemically stabilized lime sludge is able to contribute bulk volume to embankments in road construction projects.